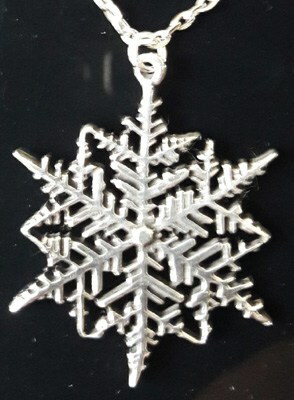 St Justin snowflake pendant. 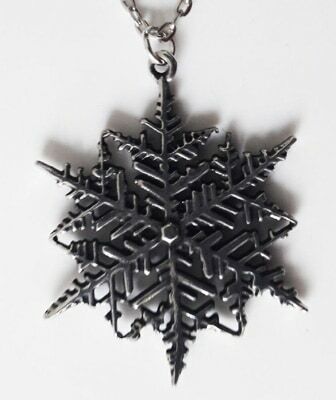 Intricate cut out pewter snowflake pendant. Comes on an 18″ rhodium-plated trace chain. Height: 42mm Width: 37mm. Supplied in a satin and velvet-lined gift box.